The rise of wealth inequality is almost entirely due to the rise of the top 0.1% wealth share, from 7% in 1979 to 22% in 2012, a level almost as high as in 1929. 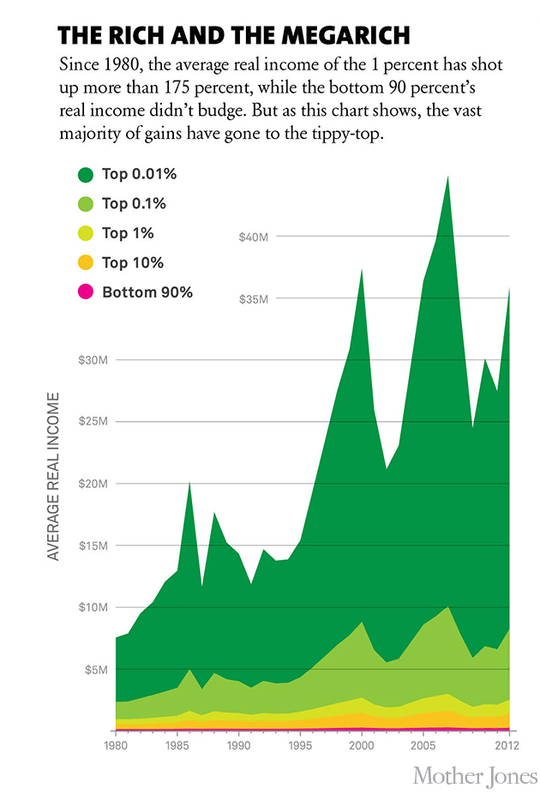 The bottom 90% wealth share first increased up to the mid-1980s and then steadily declined. The increase in wealth concentration is due to the surge of top incomes combined with an increase in saving rate inequality.